Prerequisites: Prerequisite: Peyote stitch. 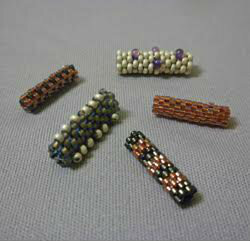 See Peyote Stitch Basics on March 24. 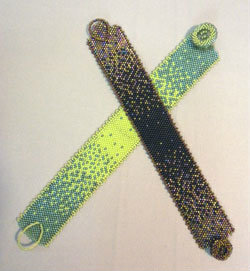 Use flat peyote stitch to make this lovely bracelet. In this class you will learn how to do beaded color grading in a simple, yet efficient manner. 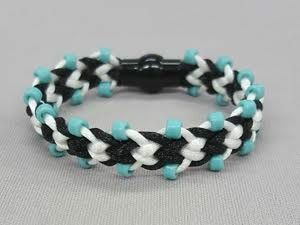 Then you will learn to finish the edges of this bracelet with a picot technique. Finally, learn to add a clasp with a loop closure. That’s three skills in one project!! This class places a focus on professional stringing and design techniques. 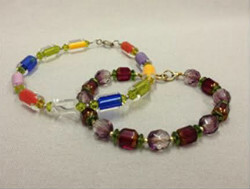 You will make two bracelets using Czech Republic glass beads and sterling silver. Two different stringing strategies will be taught: nylon finished with bead tips and flexible wire finished with crimp beads. Both bracelets will be secure and beautiful. Registration is through Kirkwood Community College. Register at: kirkwood and go to Continuing Education and then search for Beadology Iowa under instructor in the advanced search. On site registrations will be taken if registration through Kirkwood meets minimum requirements of two participants.